Kate Goes To Grand Teton National Park! 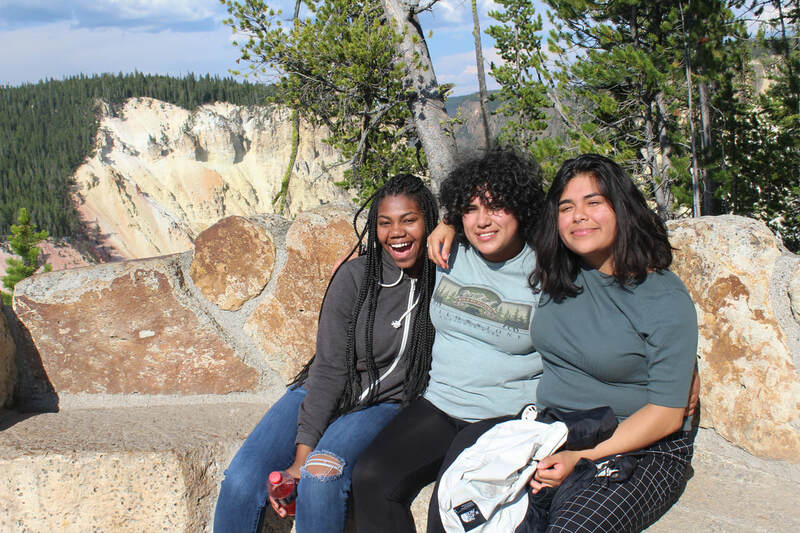 "Being able to see both Grand Tetons and Yellowstone was a really great experience as both parks were breathtaking to me. I truly enjoy being outdoors and I don't get to travel much as well, so firstly I am grateful for this opportunity. Thank you Groundwork. My experience was amazing. I loved spending time in Wyoming. Wyoming is so beautiful with it's mountain ranges, trees, lakes, and animals. It's also very free. By that, I mean that no one out in Wyoming spends their time using technology all day like we do back home. But I mean how could anyone want to use their phones out in the mind-blowing wilderness that is Wyoming. I will be honest though, I did take out my phone sometimes. The views were one thing, and the way people are out there is another contributing factor as to why I believe Wyoming is so great. People in Wyoming, especially people at the parks we were working at, were super nice and polite. Strangers would always greet us and say "hey", no matter what. They would also thank us for our conservation work in the national parks. I remember one day almost everyone, children and adults who passed by the trail our crew was working at, thanked us with a smile on their faces. Those people made the hard work all worth it. The people I worked with and spent my days with were also amazing. This trip included two other Groundwork trusts: Denver, Colorado and Washington D.C. I personally got attached to the Denver group. After all we did spend the most time with them. They were friendly and hilarious. I also enjoyed working in the parks . 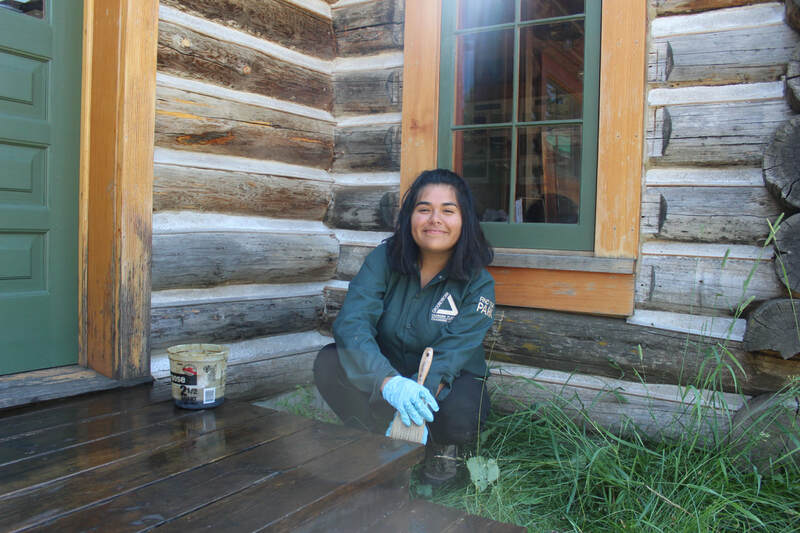 I got to learn how to brush trails, how to apply oil on wood, which I found therapeutic, and how to daub cabins with a cement and sand mixture. This trip has made me appreciate nature more and see the importance of it. It has also made me consider a career in conservation. 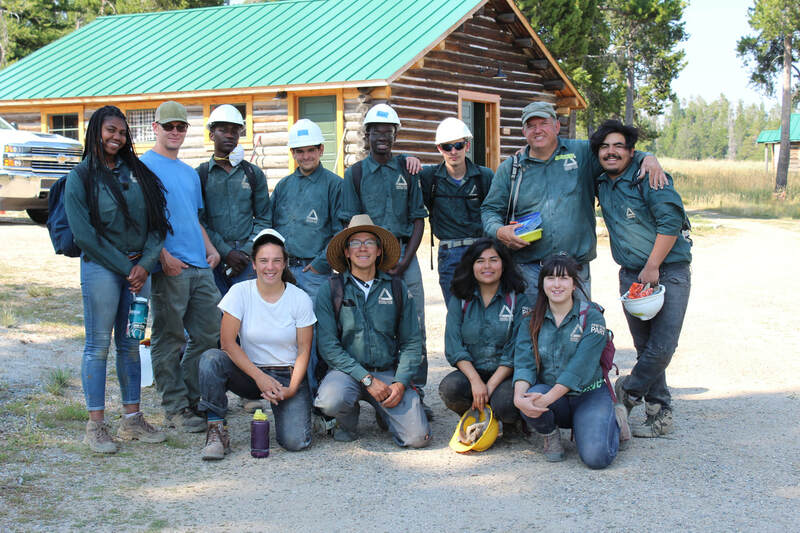 I am thankful for this experience because I had fun and I also had the opportunity to help parks be a better place."